Santa Claus is coming to Vancouver! 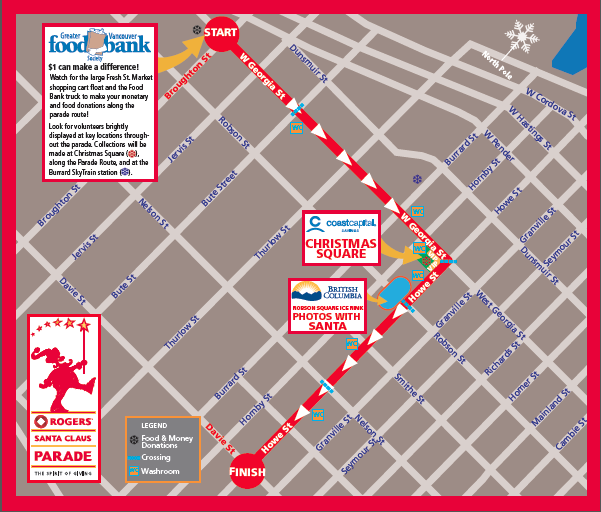 Another annual event we love to join is the Rogers’ Santa Claus Parade through Downtown Vancouver! The parade will start at West Georgia and Broughton (at 1:00 pm), travel east along West Georgia, turn south on Howe and finish at Howe and Davie. For more information about the day’s festivities, as well as tips on what to wear, where to find a good viewing spot, and other useful tips (such as road closures), check out the official Santa Claus Parade page here!